Is your puppy messing up your house? Most of all, do you have to follow it up, cleaning every poop and pee on the floor? 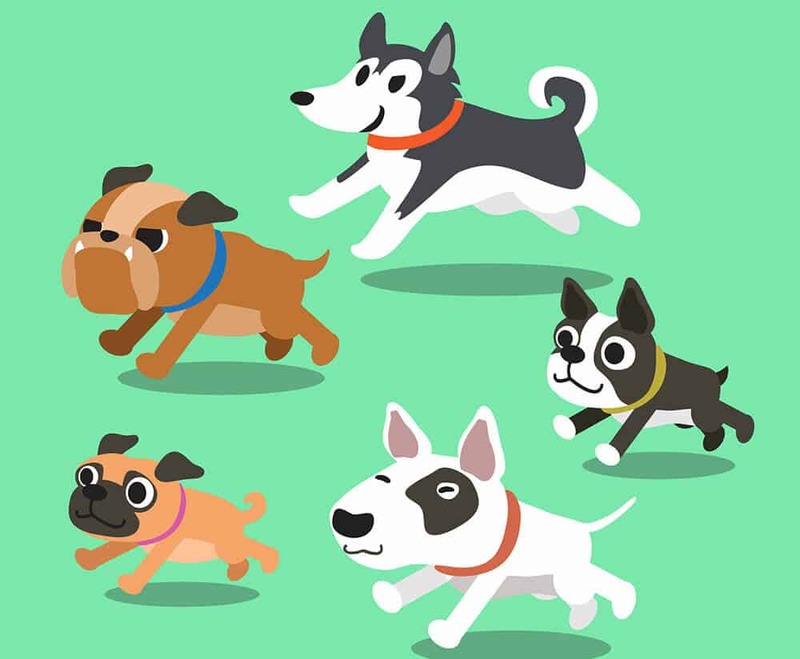 This is a sign that you need a detailed, comprehensive puppy training guide that will guide you through the training process in every stage of your puppy development. Most importantly, equip you with knowledge essential to help you raise an adorable trained puppy that worship your commands and follows everything that you want out of love. Sounds impossible? It’s not. So how do you train a puppy without succumbing to frustration and pressure that every other puppy owner goes through. Believe it or not, Puppy training requires lots of patience. That said, you need to seriously commit yourself to make sure that you’ll do whatever it takes. Have you ever trained a puppy with no success? Or, maybe you’re the one that has a puppy that is less intelligent? Or, maybe you have a trained a puppy, but they can’t let go of some behaviours. All these problems are the results of doing things in the wrong order. You see, puppies go through four distinct stages. If you understand what stage your puppy is in, or you try to perform an activity from a different stage, nothing will work. For instance, it is really much impossible teaching your puppy crate training in the beginning until your puppy has passed house and name training. You can try it, but it won’t work well. It’s also a waste of time teaching your dog about basic cues like sit, stay without the puppy knowing his name. So what should you do training your puppy. 8 to 11 weeks old: A puppy at this stage doesn’t know much about his environment. They are mostly like to poop and pee everywhere. At this stage, house training or potty training is what you should focus on. Your puppy needs to understand how to eliminate outside your house. Before you take any training, it’s important to focus on this for the first two weeks every single day before moving to the next stage. Yes, some puppies may take long, but until they have passed this stage, it is a waste of time getting them to do another training. 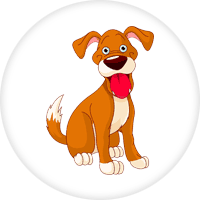 Moreover this is the time your puppy’s teeth coming out, so it will be a period of biting and teething. 15 to 18 weeks old: Here is where you crate train a puppy. The crate needs to be a safe haven for the puppy so that they can get used to it. Crate training may take longer with a stubborn puppy, but it should take you less than 3 weeks and after that puppies will love it as their den. 19 weeks and beyond: Here is where you start to introduce the basic cue like sit, come, up, stay and leave it. You can also extend to other commands slowly after they have learned to other commands. It takes time for a puppy to learn all the commands that you want and it is achievable. If you have an 8 weeks puppy and still struggling to figure out everything, that’s totally fine. We all start there. Don’t expect too much from an 8 weeks old puppy. More importantly, shouldn’t be correcting him every second. Puppies are impulsive and have little self-control. At this stage they will eat what they like and what they want. But the moment you can get their attention, you’ll be surprised on how fast they can learn new things. Your primary focus at this stage should be potty/house training. You can’t move to the next stage until your puppy learns how to go to the toilet. And the best part is, it becomes easier for you to crate and have him in your house. What You Should Be Doing In This Stage? We know the feeling of waking up every day in a room, soiled with puppy’s pee and poop. Let’s face it, puppies are like babies. At 8 weeks old they are learning their environment. In fact, they don’t know if it is appropriate to pee in the house or not. Your job is to assist them learn that. Fortunately, with patience on your side, you can train any puppy to potty. 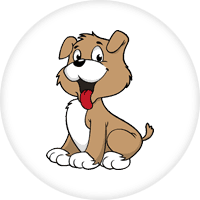 Potty training is the first training that every Dog owner needs to teach about before introducing your puppy to other training. Pot training is much easier because dog’s have an instinct not to soil inside their den. Your job is to let the dog know that your entire house is a den. The more your dog gets that, the more he learns to respect your house and the place he stays. Fortunately, there are ways you can train your dog to do this. 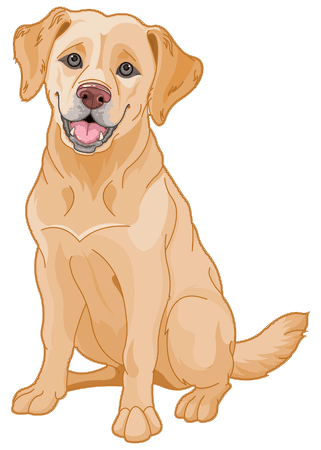 Feeding your dog, lower quality meals makes him want to help himself often because the digestion process happens fast. Likewise, feeding your dog, high quality Dod food make results in fewer bowels. 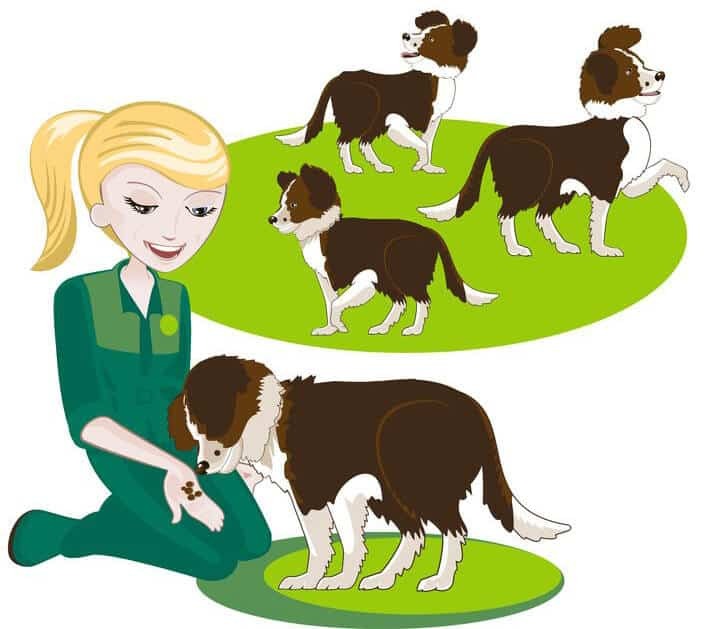 Second, the quality of food that you feed your puppy helps him understand and learn about bladder control. Puppies get more values from high nutritious food that speeds up their learning process. The best way to train a puppy is to have a detailed schedule in place. A schedule like when to feed him and when he needs to poop and pee. Without a pattern like this, it becomes impossible for a puppy to learn potty training. A schedule prevents you from the possibility of free feeding your puppies every now and then. How Often Does a Puppy Poop? A normal puppy eats two to four times a day. The feeding routine changes with the age of the puppy. At 8 weeks to 12 weeks, you’ll need to feed him four times in a day. Between age 12 to 26 weeks, you’ll need to feed him twice a day. Likewise, you need to come up with the time for exercising, training and playing. Keep in mind that too much training can make the puppy want to potty every time. You need to have absolute control of the exercising and playing time so that they can adopt. It’s important for your puppy to stay on leash during this bathroom visit to prevent him from wandering everywhere and getting distracted. Most of all, stay with them until they are done. Biting and nipping is common with newborn puppies. Unfortunately, most puppy owners take it for granted. It only becomes serious the moment a dog bites you or another dog. 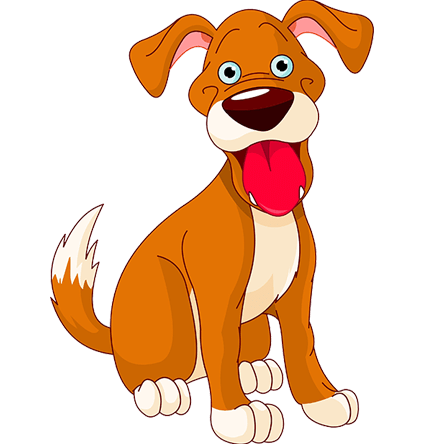 Biting and nipping is a form play that most puppies have and you need to teach that they should not bite hard. Chances are, if they bite other puppies hard, they will also bite you hard. Puppies bite for several reasons. Sometimes the puppy wants to explore their environment and communicate. That’s because puppies interact with the environment with their mouth. They don’t have hands like humans. Biting is fun for the puppies. They bite things when they are bored. Playing with your hands during training making it easier for the puppy to associate your hands with toys. Little toddlers tend to excite puppies, unlike adults. And this forces the puppy to start biting the toddler’s clothes. Tasks You Need Do To Prevent Biting. Any time a puppy tries to bite your hands or ankle, always offer them a toy to bite. There are lots of the dog’s toys that you can give your puppy. You need to teach your kids to relate well with puppies. That means using an interactive toy whenever the puppies try to reach them. Most importantly, show the puppy how to play with other puppies. 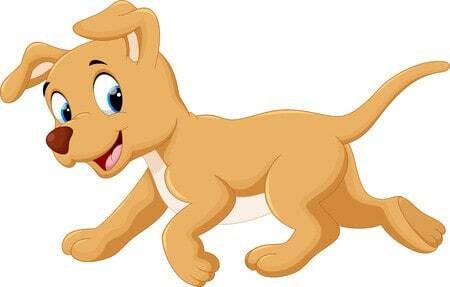 Do not allow your kid from running unless they’re dragging a toy to redirect the puppy. Have an excellent toy that’s more attractive than your feet. The best thing that you can do is to take the toy, tie into a rope and the tie rope on your belt. Whenever you walk around, a toy dragging will be dragging on the floor for the puppy to play with. The next time your puppy comes to your feet, you shouldn’t move, anywhere because that encourages and excite them further to pursue you. This is a way of teaching your puppy not to apply too much pressure when they biting. Picture this to the handshake. When greeting someone, you don’t want to apply too much pressure that can hurt them. Here are the ways to prevent bite inhibition. Instead, let puppies release that your hands and move away while ignoring them. Ignoring them for about a minute, then return and resume the play and praise them with a treat. If they bite you hard again, repeat the process again. if the puppy follows you and initiates the play, leave, so that they don’t follow you. If the above method don’t work, you can use a test deterrents. If you have a puppy that is deeply rooted with nipping behaviour, the above method may not be enough on their own. You want to use a taste deterrent so that when the puppy bites your hand, they get a weird smelling and taste. They are lots of anti-chewing sprays to make your hands look less appealing. When a puppy bites you, remain still and wait for them to react to the bitter taste. When they let go, praise them and reach a treat onto them or a toy. You can also teach your puppy to leave it. This training can be given when they try to reach out for your hands. You’re ready to move to the next stage when…. Your puppy has stopped biting and nipping behaviours. 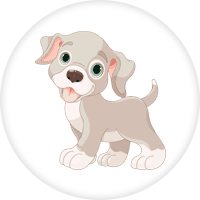 This is the stage where the puppy learns keyword training. And the first word to teach your puppy is their name. In this stage you need to be doing name training. 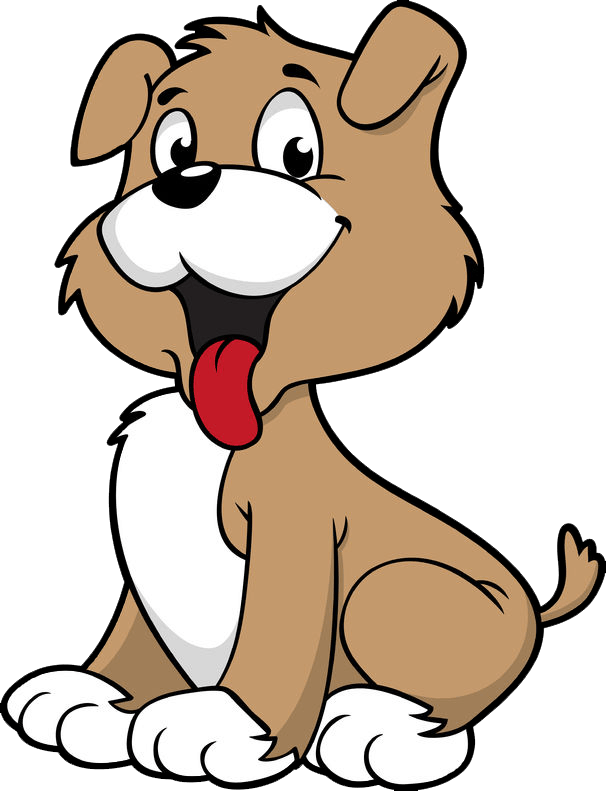 If your puppy responds to his name well, chances are, you can teach them any keyword and they will learn it fast. Let’ dive into the details. Chances are, at 8 weeks old, your puppy doesn’t know his or her name. Fortunately, name training is easier than most people think. In fact, the moment a puppy knows their name, it becomes a lot easier to train them at home on other forms of training. The beauty about name training is that it will help you avoid accidents and disasters at home that your puppy is likely to run into.. Most importantly, it will make a good solid foundation for greater success in training. The reason why name training is important, it is because it is hard to get the attention of the dog who doesn’t acknowledge you. The moment your puppy comes to your home, they need to have a beautiful name that you’ll use all the time to call them. 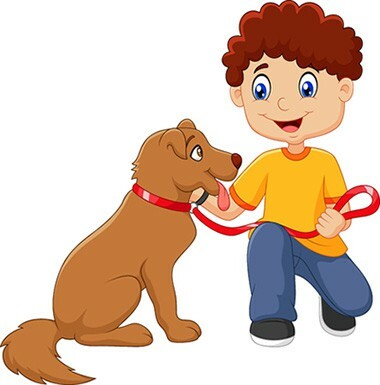 The best way to do this is to use your puppy’s name positively and reward him with a treat. Never in your life should you yell to your puppy. The day you start doing that is the day your dog will associate his name with negative feelings and this can affect the solid relationship with your dog. Rewards– dogs learn best when you associate their name with good things like food or treats. 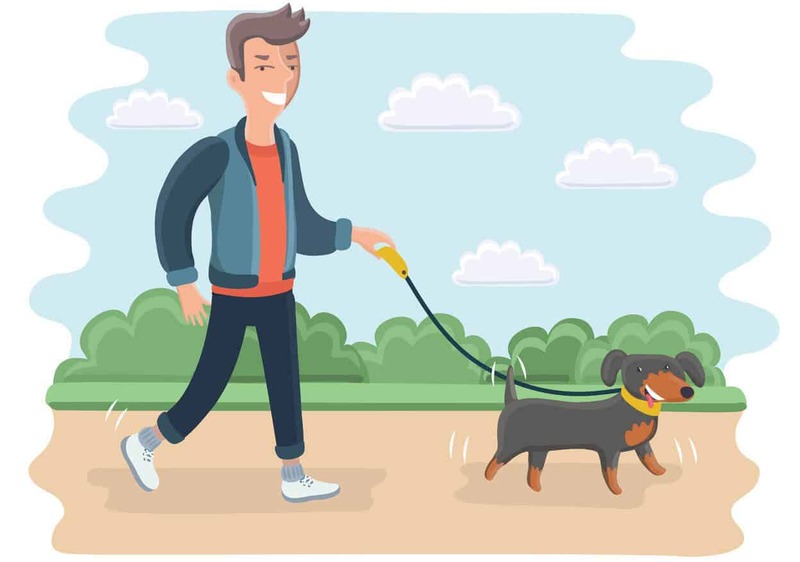 For these exercises you have to use your dog’s favourite to help them learn about their name. Ironically, there are instances where some dogs are not motivated by food. In situations like this, you have to find out what actually strikes their ego. It can be that they enjoy the company of other dogs or love play time. All in all the dogs have to associate their name with something good which they cherish so much. Location– It matters a lot where you train your puppy. If you are doing this for the first time, you’ll need a decent place. What do I mean by a decent place? This has to be a place that is away from distraction. Your home can be a great location provided that it has no distraction for the first time. You can also try a to train your puppy in a secluded place like a room, where they will be forced to pay extra attention to you. Now that we’ve got the two things in place. It is time to begin the training. The best way to train a new puppy or any dog is using positive reinforcement. 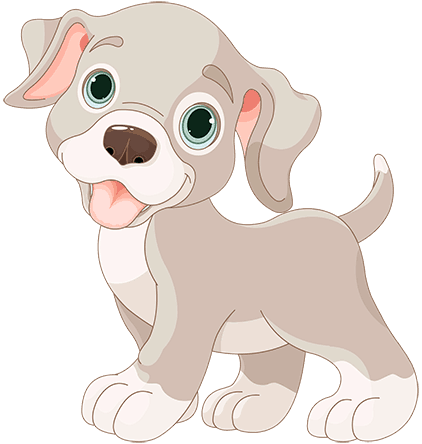 It is a friendly, non-punitive method of teaching a puppy perform certain behaviours using rewards like food or treats. In other words, you get positive action from a puppy in exchange with a treat. Using this method, you train the dog to repeat the same behaviour in the future. And the best part, is that you create an emotional connection and bond with your dog. Positive reinforcement happens to be the best humane way to train a puppy on name training. If you want a puppy to learn any name fast, you have to stay consistent and do it at the right time. Specifically, every member of the family has to respect a dog’s name. In other words, they should never call a dog’s name for the sake. Any time they call the dog, they have to give it something that the dog loves. That said, never call a dog’s name to do something that they don’t love like bathing or nail clipping. If you have to do that, just fetch the dog and he will assume that you want to do something positive to her. Believe it or not, timing is essential. When you call a dog and they give you attention, never delay to give them a treat. Otherwise, you will make the dog interprete the name for something else. For instance, when you tell a dog to sit down and you delay giving it a treat until it is up, you teach the dog that you meant standing up. And the worst part is that when you tell the dog to sit down next time, they will interprete standing. Never worry if you miss the timing, you will always have a chance the next time. 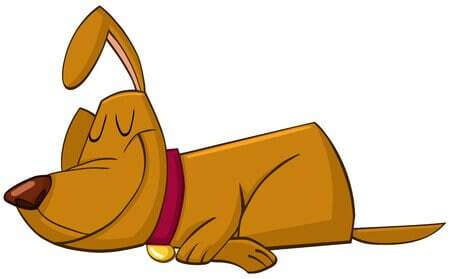 Each time you call your dog and they give you a positive cue, you need to reward them with verbal praise. 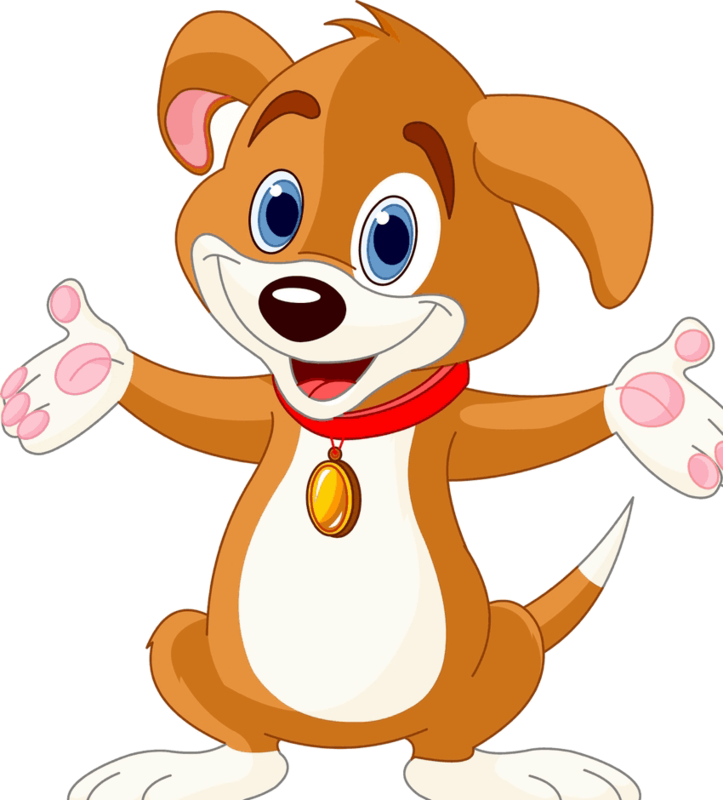 You can use a cute name like “ Good dog, Well done, Perfect.” When using verbal praise, you can also clap. Likewise, you can also use clicker, a clicker is a device that gets your dog’s attention. Warning:every click that’s not followed by a reward, weakens the clicker’s reliability. And during the training you want to have a predictable and reliable world to your puppy. Otherwise the dog won’t show up for any training. Keep in mind that you also need to click the right time just like you would clap or use verbal praise the right. Now that your dog’s recognizes their name, it is time to upgrade the training. Here is the place where you add a little distractions along the way. The purpose of distraction is to get the dog to pay attention to you. Adding distraction help the dog to learn how to calm down whenever there’s an accident or a different situation around the homestead. 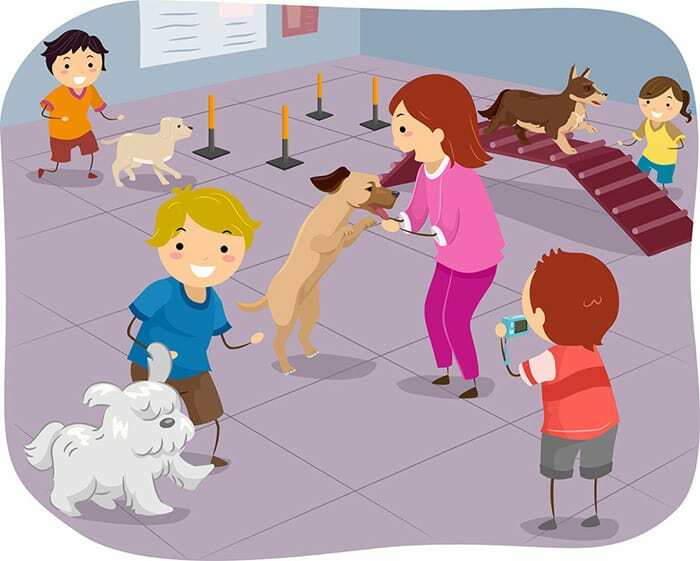 Go with the dog outside, where they are so many activities happening (make sure they are on a leash). The next important place that a puppy must know is their den. They need to love and respect the place they sleep. Lucky for you, because you have taught the puppy potty training, chances are, you puppy would not mess their crate. Let’s look at…. Between 15 and 18 weeks, this is the age that you should begin crate training. Crate training is the process of teaching your puppy that a crate is a special place for them. In other words, a place where good things happen in an effort making them love the place. A crate trained dog learns to accept the place as her own without crying. It provides a place where a dog will call it his own home and will feel secure in it. Crate training is a wonderful way of preparing your puppies for the next trip to the vet. What you need to do before crating puppy. First, place your crate in a central location in the room, where your pet would see it often. It’s better to place your crate in a busy traffic area so that the puppy can’t miss the action of what’s happening. Second, let the puppy get used to seeing the crate often. Here you can decide to put food, or treats there to see what will happen. For the first few days place the food or treats around the crate and move away from the crate. Let the puppy find the food there on their own. Your job is to move away from the scene. The next things is to repeat the same 4 times every single day for 6 or 7 days. Now that your puppy has used to the crate, Here are the four steps to crate training a puppy. Place the crate in a central place, it should be the place where they love the most. It can be in the middle of the kitchen or the backyard. Specifically, the place should allow a large viewing area for the puppy. Make the place desirable for the puppy. It should have blankets that your puppy loves, his favourite toys and food. Make it a great place that puppy will find joy entering inside. Your next job should be to lure the puppy with treats and food so that they enter inside. Note:This process can take minutes to several days. It can take two to three weeks for your puppy to get used to the crate. A great rule of thumb is start the real training 2 weeks after the introduction. And you should always place food inside the crate then leave the place. You want the puppy to find out by themselves and associate the crate to be an excellent place. Always place their foodin crate at the furthest end to allow them to enter inside the crate. Try to close the door after every 3 seconds so that they get used to it. You can always increase the time from 5 second to 10 seconds or even more. Next time try to close the door a little bit and move away from the room. Try to stay away from 3 seconds to 10 seconds. You want to do this so that the dog can feel comfortable being left alone in the crate. Have a stopwatch to keep track of time. The watch will help you learn when to include short breaks after every long session. Have a plan and record everything that you do. Don’t record what you do in the memory. Your plans need to include things like when to increase extends your time from 45 seconds to 30 minutes and for how many days you’ll be doing this. Note:This is the step where you want to have patience as you train your puppy. Your puppy is likely to whine when you leave them alone. In case they do that, come only after they had stayed silent, coming back immediately shows that any time they whine, you’ll have to open the door or come to their rescue. Step 4:Crate training at night. First, you need to make sure that the crate is in your bedroom where the puppy can easily see you. Otherwise, you will have a situation where the puppy is crying the whole night for your attention. Second, make sure that your puppy is tired before they go to sleep. Here is where you want to make sure that they’ve eaten well and have had lots of playtime during the day. In other words, they need to be exhausted. Third, you need to take them out to pee and poo before they go to bed. Note:The key to having a wonderful sleep is sticking to those three things. After this, you want to always move a crate further from the bedroom. You can start placing it at the door of your bedroom, then behind the door to the hallway until the crate is completely outside. To accomplish this, you need to do it in daily intervals. Doing this encourages the puppy to learn how to sleep alone, away from their littermates and mother. This is the stage where you teach the dog basic cue, such as sit, stay, come, in, leave, stand and down. It is actually easier to teach them. All you need to do is follow my steps on the name training. For instance, you can start teaching your dog one word every two or three weeks depending on the dog’s learning abilities. Do this when you have treats and a clicker available. Puppy training is something that can take you 24 months. Puppies at a younger stage make the best students. Most homeowners start considering puppy training when the puppy is 6 months old and beyond. Or, perhaps, when the puppy is stubborn. 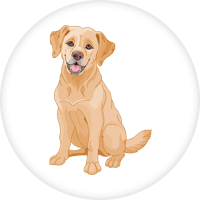 Proper Credential: The place or the person training the puppy needs to have certified professional credentials such as Certificate lll in Dog Behaviour and Training for Australian dog trainers. Training experience: Training experience matters because that is the only way you’ll find if they have what it takes and are fit to train your puppy. That said, you need to take your time and have patience so that the little dog can adopt and become a responsible member of your family. Likewise, if you don’t have time to do this, you can hire a dog trainer to help train your puppy at home for a small fee. 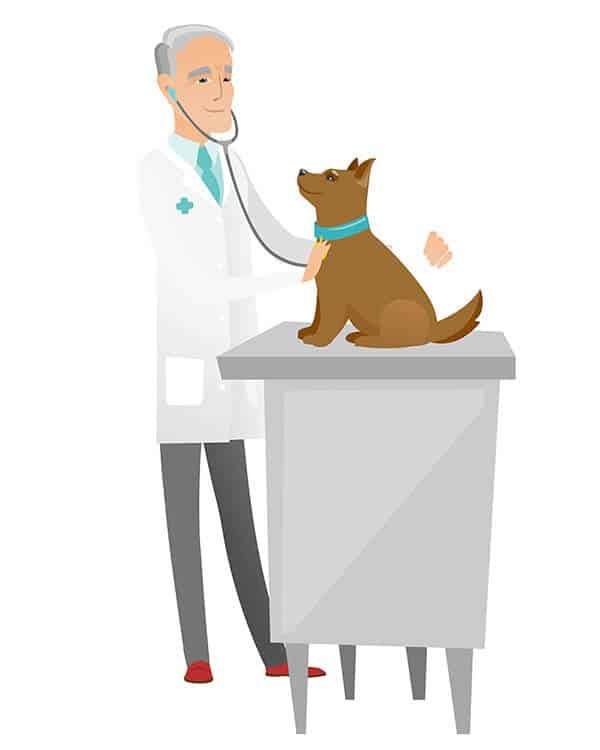 Make sure to buy the puppy insurance policy, you will be covered with vet bills up to 80%.